I just met with SENT church planters from around our region for what we call our Collective. This Collective was a gathering of pastors from ten church plants and five others currently preparing to plant. I’m thrilled that we are becoming more racially diverse as a Network and that our planting areas include both urban and suburban locations. These include Maryland cities such as downtown Annapolis, Baltimore, Silver Spring, Frederick, Gambrills, Easton, and Riverdale, as well as locations in other states like Wilmington, DE, Washington, D.C., Arlington and Richmond, VA.
We hold our Collectives monthly in a local restaurant in Annapolis for a few hours over an extended lunch. Our leadership team creates space for everyone to share about their personal lives and to be strengthened for the work of planting gospel-centered churches that reach their neighborhoods and cities. We share “wins” and pray for the challenges we face, we cast vision and remember our shared DNA, and we provide ongoing teaching and training. We were reminded at our last Collective that we are able to bear even more fruit with the help of regular one-to-one coaching. 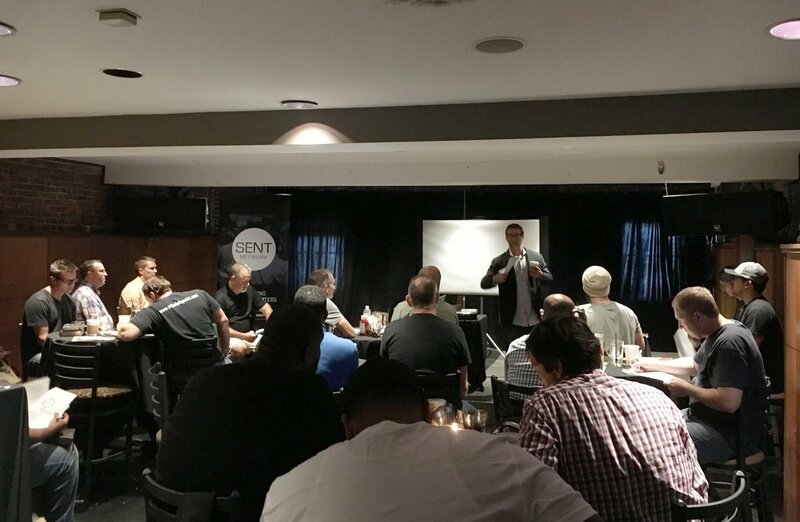 I was so encouraged at our recent Collective as pastors with SENT shared stories of people coming to faith in Jesus through their church plants. They also described numerous other ways they were experiencing God’s grace personally and in their churches. Join me in praising God for how He is changing lives and please continue to pray for our Network of pastors on the front line planting and multiplying churches. Thanks for your financial partnership with us in our mission of equipping church planters to make disciples who center on Jesus!